Home Fashion Want To Look Stylish in Saree? Try Back Knot Blouse Designs! 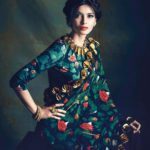 To the point of being obscurely repetitive, we still can’t help ourselves but insisting the basic fact that, in order to keep your saree style stand out, you need a riveting blouse. It’s as simple as that. Yet, many fail to make significant impression with their choice of blouse. Still the default blouse that comes with saree is given the first choice. Of course, there is nothing wrong in it. But you can do a LOT better than that. 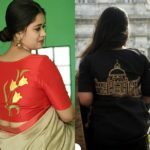 From new sleeves styles to creative neck designs, even the standard blouse that comes along with the saree can be made to create impact, if you care to invest time and a bit of money to figure out what exactly you want. If you ask us to pick some cool options for you to try right away, we can take a day long to discuss about the things. Yes, when it comes to good looking blouse, options are plenty and we have enormous stamina to discuss all of it for you. So, you need to be bit specific on what exactly you expect from a saree style. 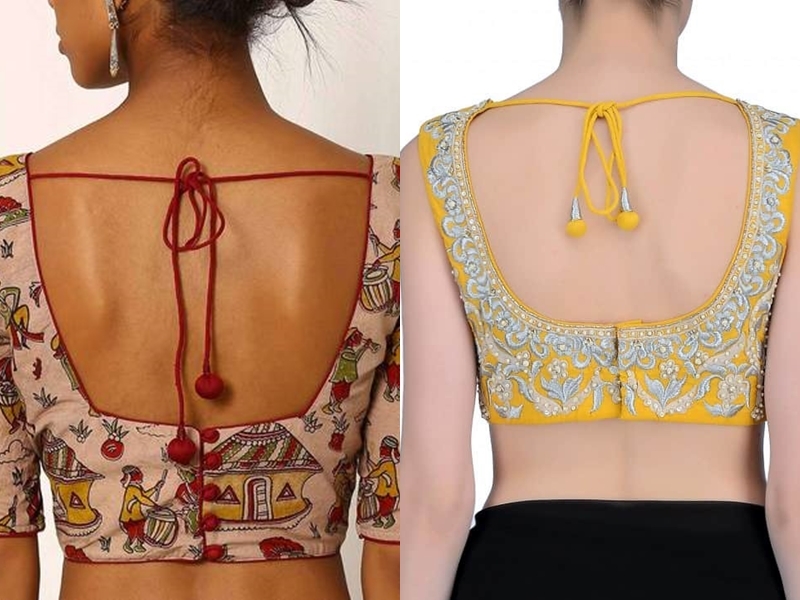 Suppose say, you feel that your blouse is nothing close to stylish and want a quick fix for it, we will soon point our figures to the chic back knot blouse designs. These tie back blouse has a way to instantly notch up the glam quotient in your sarees. End result, with an addition of sleek thread at the back, you are defining your overall blouse style in a new limelight. So there is no doubt that this new bold blouse style from you will garner more attention. Now let’s go together and explore all interesting ways to make this back knot blouses incredibly voguish for you. This is one of the easiest way to increase the glam look of your blouse. By adding an elongated thread with a small cloth ball at the end, you can include feminine touch on the back of your blouse. If you plan to wear silk or party wear sarees, then you can include zari cloth balls or plain cloth balls with zari embellishments. This will instantly add needed drama and make your blouse back neck interesting. Next way to make this back knot blouses more attractive is by opting for colorful beads. In case if the saree in talk is a designer one, then a row of gold beads of different shape would be enough. Even for simple sarees you can go for plain beads in same shade of saree or blouse, to get your blouse back style more striking. 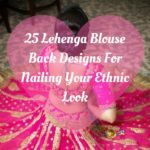 If your blouse is instilled with heavy thread work with intricate patterns, then the back thread can have one of those patterns stitched at the end for a cool look. 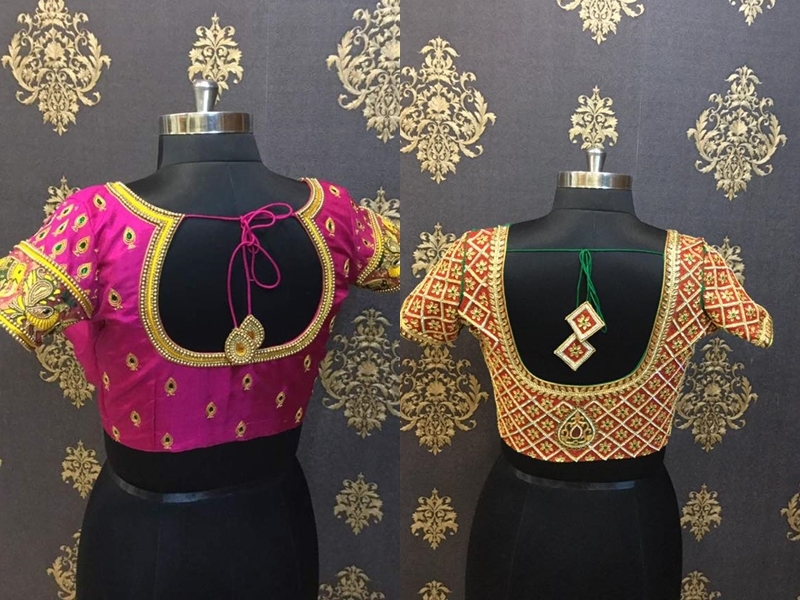 Here below are blouse inspirations to try this option with heavy embroidered blouses. You can even use different thread colors to make an impact at the back. To approach this back knots in an entirely new way, you can even opt for cloth tie backs. In this case, you opt for contrasting blouse from your saree, and use a bit of saree fabric to get this tie back done. 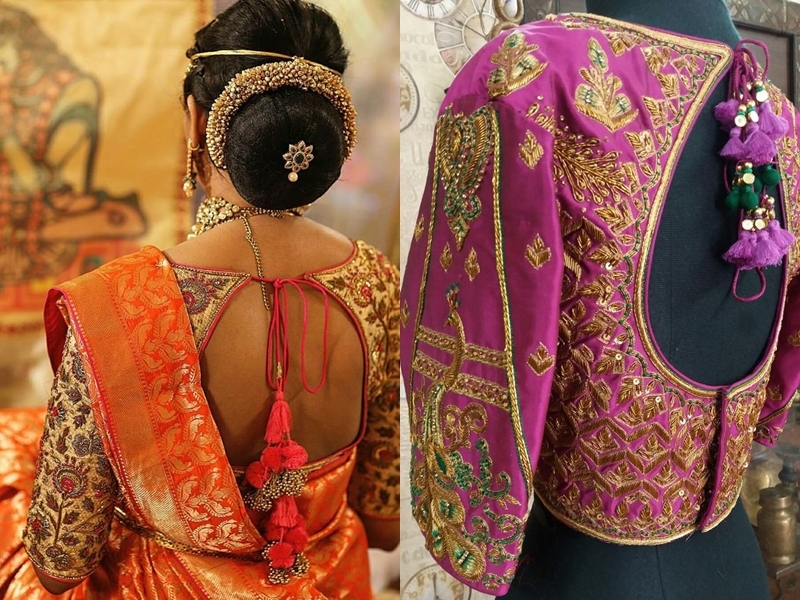 Alternatively, if the saree and blouse is of same color, you can even introduce a new fabric in a hue that compliments the base tone of your saree. This could instantly lift up your blouse style. If you don’t mind being a bit seductive, then having a complete back open blouse with just about a pair of threads to coordinate your blouse is a cool way to look! You can either go for contrasting colors to add a bit of drama here. This may not be your cup of tea to use as a daily wear, but these blouses generally go well with expensive party wear on special occasions. 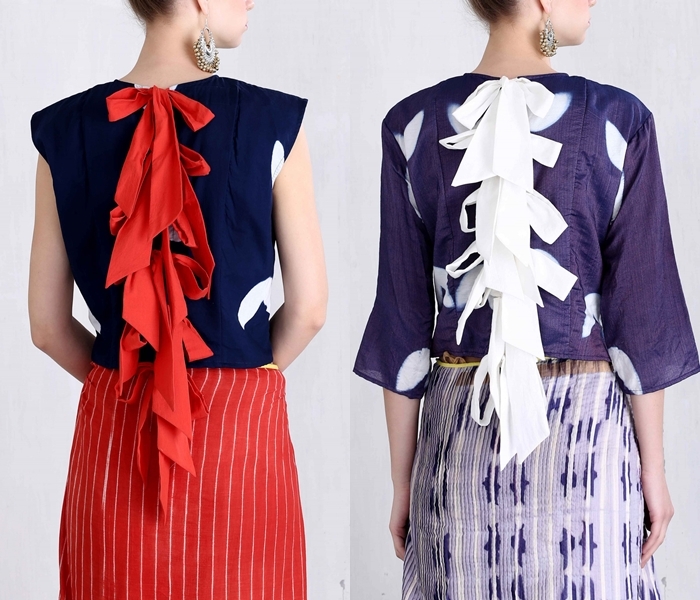 Another most catching way to do get tie back blouses is to adorn them with chunky tassel work at the back. This rich work will go well with silk and velvet saree blouses. They just add the right amount of grandeur to the already expensive looking saree. That doesn’t mean this option should be restricted to only those sarees. Even handloom and cotton sarees with soft tassel details at the back could be a head turner! This is the basic tie back model which you can try literally on any blouse any time. Having a simple thread details will instantly up your blouse style. If don’t like to experiment beyond your comfort zone, yet want to give this blouse style a try, then this might sit well on you. There are always some girls who refuse to put up with anything less than a stylish option. This is for you beauties. This is one of the most creative ways to make tie back look super cool on you without making you feel any discomfort. Opt for a relaxed blouse with dense tie back as below and wear with any saree! You will be a showstopper that day with this creative blouse option. This is another model for beginners who make a great deal when they have to break their comfort zone. This by all means looks like your basic blouse model but retain a significant style with the addition of those slim thread details. 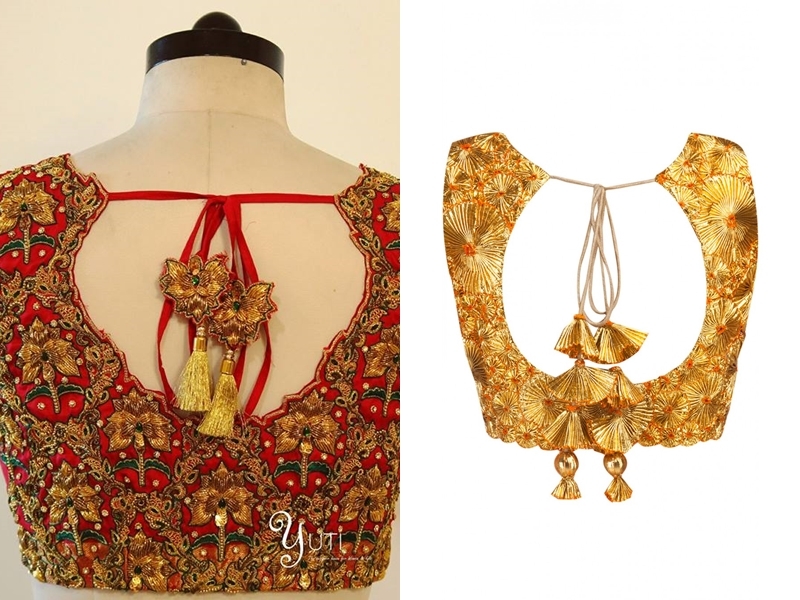 Do you have a heavy kundan work , or heavy bead work saree blouse, then the tie back can also be made to look little dramatic by having same work there. Want to seek an inspiration? Check out the two blouse models below. 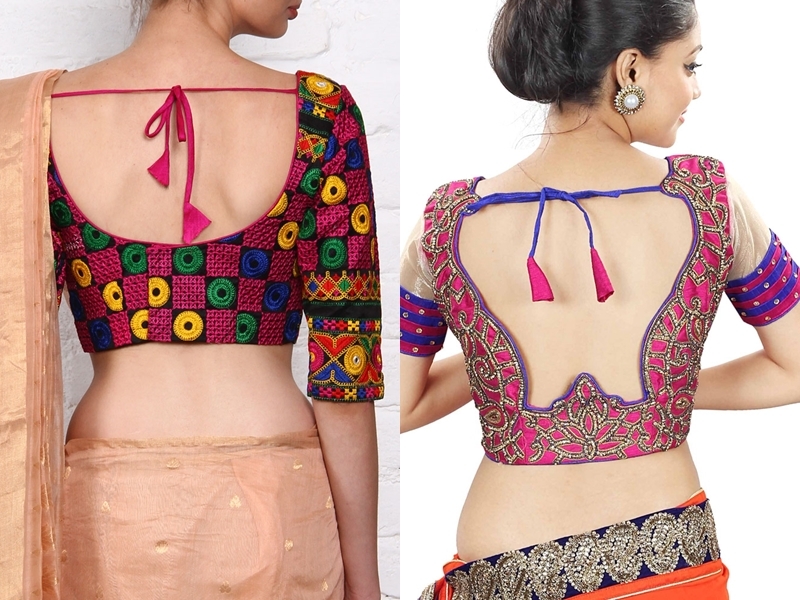 Many like back knot blouses because of the glamorous appeal it can bring to your saree. There is absolutely no denial to this fact. However if you make a mistake, it might make your entire blouse not so easy going. That’s why it is essential you pick right tie back style at the back that can make you feel relaxed instead of anxious. Here below you can see two regal blouse backs that is very tempting in all the way without compromising the comfort. As you all see, there are so many ways to make this back knot blouse designs work for you. All you need now is to look upon the options once again and opt for the one which goes well with your personal style. Go ahead, stitch them, wear them and just get ready to stay stylish with them! Now tell us whether you like this blouse style or not by dropping your comment on the box below. 27 Designer Blouse Patterns That Will Look Amazing on You!